Greene Eden has been successfully installing sub-surface drip irrigation systems in turf since 1993 with acceptance growing during the drought in the early 2000’s when clients starting acknowledging the obvious advantages of this irrigation system methodology. 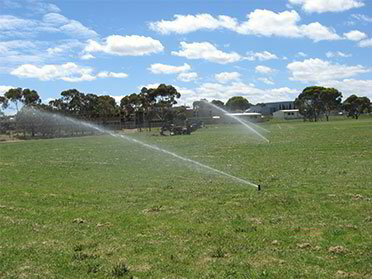 Commercially, pop-up sprinklers are the more traditionally accepted form of automatic irrigation found on ovals and reserves. Sprinklers are technologically advanced and, when installed to manufacturer’s specifications and to design, provide an even turf coverage. They are, however, vulnerable to vandalism and/or grounds-keeping damage, require on-going regular maintenance, and can be affected by prevailing windy conditions. They are also not favoured for use with non-drinking water (and not acceptable for reclaimed effluent). 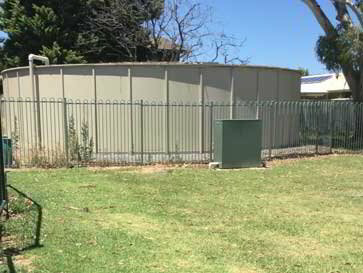 The use of sprinklers can also be impacted by drought water-management legislation. 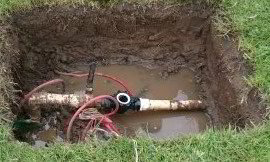 Some irrigation systems have either been poorly designed, or water flows/pressures to the site have altered over time. 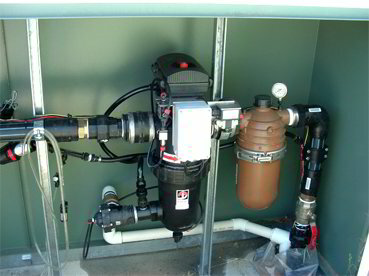 The installation of a tank and pump can return the system back to optimum working order. Filtration must be included in any drip irrigation system (whether sub-surface or surface) and sometimes even on sprinkler systems. However, it is important to assess the quality of the water and ensure that the filter screen/mesh size is chosen to reflect the level of filtration required. For drip systems filters are a necessity to prevent emitters from becoming clogged. Even if small sand particles can pass through the system without clogging it, they cause wear on the equipment. Solenoid valves can be impacted by sand/soil particles, resulting in the valve failing to either open or close. 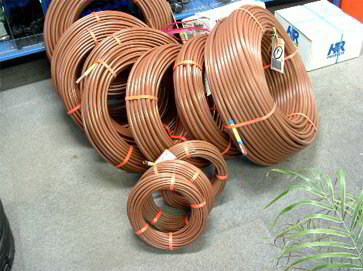 Sub-surface drip irrigation systems also include a root-intrusion inhibiting filter as part of the filtration assembly. Sometimes a combination of more than one type of filter will be needed. More complex filtration assemblies may be required but would be designed/recommended by specialised suppliers. Maintenance of the various irrigation systems which have been installed over the years, regardless of who carried out the initial installation, is one of our specialised services. 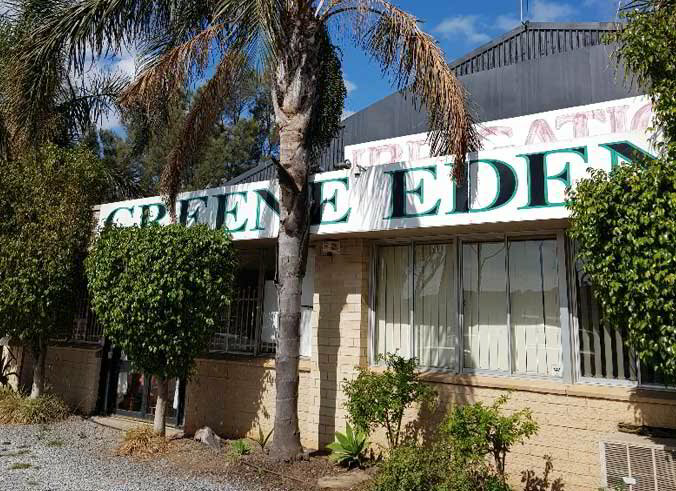 Irrigation control technology has advanced to the point where Greene Eden can remotely manage irrigation systems from their depot. Approximately 40 sites are currently being monitored and managed. 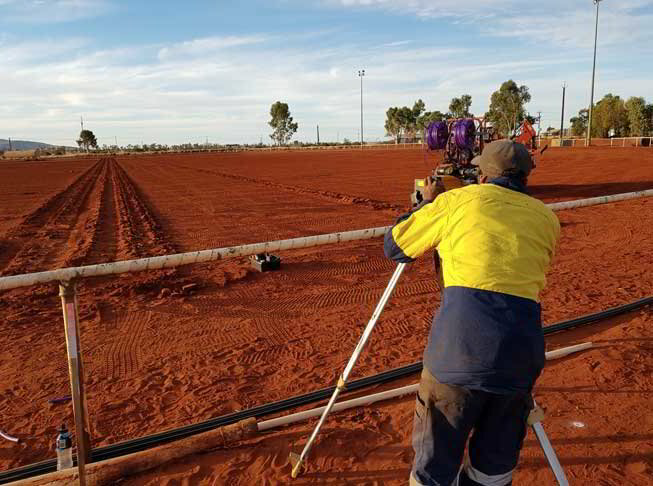 ARE YOU LOOKING FOR INNOVATION IN IRRIGATION SYSTEM DESIGN? We can design a system suitable for your turfed area - give us a call.